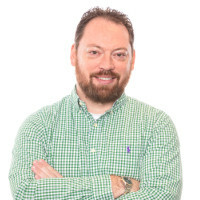 I’m recognized in the industry as one of the best Big Data instructor. I’ve taught thousands of students Big Data technologies and facilitated their career switch to Big Data. I’ve written a book to guide you through making that switch too. 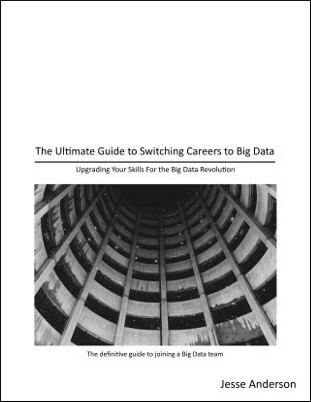 It is a free, 79 page eBook called The Ultimate Guide to Switching Careers to Big Data. The book draws on my 6+ years of teaching Big Data technologies to people in your exact situation. You’re looking everywhere for a book that answers all of your questions on how to switch careers and get into Big Data. This is the only book that tells you how to make the change. I don’t take word ultimate in the title lightly. I sought to create the most comprehensive book on the subject. I went back through every email, thought back to every question in a class, and went through every online question I could find. I wanted the book to answer each and every one of these questions. Next, I searched for people in your exact situation and asked them to read the book. I verified that it not only answered their initial questions, but answered the question they didn’t know to ask. A few of their questions weren’t answered in the book. I went back and added those answers. If you have a question that is relevant and isn’t covered in the book, I will answer your question and add it to the book. I was skeptical at first when I saw the word “ultimate”. However, I think when you immediately present why this is considered an ultimate guide and after reading the book, the title works very well. I really like how well organized and detailed the book is without being overwhelming. Kasie J.
Ok, so I just finished reading your book. I thought it will take me a day or two by reading 30 pages a day, but the more I read the more interesting it got. It has shown me different aspects of Big Data and Data Engineering. Biahos A. A lot of value in your book – month saving value. It simply delivers on what it promised. I wished I had read this book before learning and software engineering. For a beginner, this book is what a great mentor will tell you. It’s very no-nonsense and direct. People can see from the book exactly what they can expect and they’ll appreciate that. Vaughn S.
I like how your recommendations are backed by your experience – e.g. when discussing languages to learn, you mention how most work happens. Johnny G.
I can tell you that it opened my eyes. Wojtek B. You will be subscribed to our mailing list. We hate spam as much as you do. You'll receive Big Data-related emails from us. I invite you to learn how others in your exact situation have switched careers to Big Data. Take the first step towards a prosperous career switch and download my free E-Book.